The Office for Healthcare Workforce Analysis and Planning has just released a new edition of their South Carolina Health Professions Data Book. This statistical reference book assembles information from a variety of sources into a single volume, reporting the number and distribution of healthcare providers practicing in the state along with a variety of community factors that reflect or influence the health of the population. This publication provides a wealth of information in an easily accessible format. It is a resource for state, county and local planning groups as they address health care needs and access issues in our state. It is also valuable to those seeking information about health and healthcare resources in their local communities. The book is available from the Office for Healthcare Workforce Analysis and Planning in the program office of the South Carolina AHEC. Bound copies can be purchased or electronic copies can be downloaded for free from the website www.officeforhealthcareworkforce.org by clicking on the book cover graphic at the bottom of the home page. Part of the South Carolina Area Health Education Consortium at the Medical University of South Carolina, the Office for Healthcare Workforce Analysis and Planning is funded by a grant from The Duke Endowment. Located in Charlotte, NC, the Duke Endowment seeks to fulfill the legacy of James B. Duke by improving lives and communities in the Carolinas through higher education, health care, rural churches and children’s services. Since its inception, the Endowment has awarded nearly $2.9 billion in grants. The Mid-Carolina AHEC Health Careers Program, in partnership with River’s Edge Retreat, has formed the Young Future Leaders Program (YFLP) as a hands-on academic, mentorship and leadership program. This enrichment program helped change the lives of over 30 student interns in Richland and Lexington Counties this summer. The first week of the program focused on academics including science, math, information technology and health science. Students participated in hands-on case studies, mentoring, and leadership workshops. Through the partnership with IT-ology (http://it-ology.org), students took a field trip to their facility biweekly and learned how to develop website codes and create electrical circuits. On Friday of the first week, students participated in a color code training led by Dr. Stanley Green from Clemson Youth Learning Center. Students put their mentoring skills to work during the second week and mentored a student in the “Grandparent Program.” Mentors learned the need to assume a number of different roles during the course of the mentoring relationship. Mentors explored values, interests and goals of the mentee in order to make a difference and have a positive effect on their life. In the final week, students became Young Future Leaders in Training, which was a "Counselor in Training" (CIT) program. The purpose of the CIT program is to provide an intense program geared to train teenagers in work ethics, leadership, respect and responsibility. The CIT program prepares the student to assist camp counselors by teaching safety, responsibility, leadership, respect, and activities. This popular program helps teenagers gain valuable leadership skills and increase self-confidence. 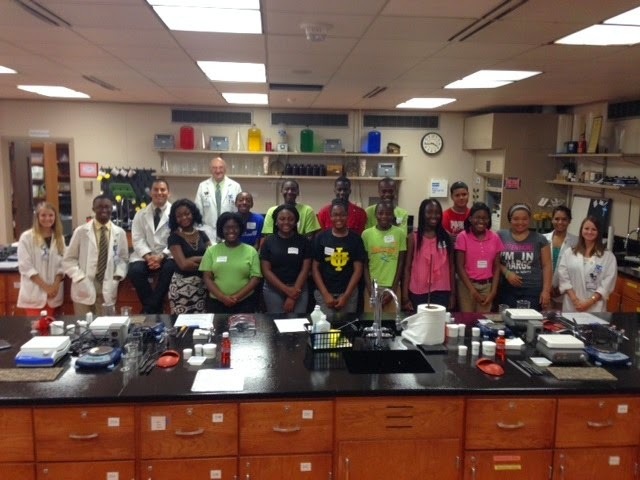 The students also participated in three college tours to the University of South Carolina (USC), USC Aiken, and Winthrop University and also participated in the Adventures in Pharmacy Lab held through the USC School of Pharmacy. Mid-Carolina AHEC looks forward to holding the YFLP again next year. For more information on the program, please contact Mid-Carolina Health Careers Coordinator Erica Davis at 803-286-4121 or ericadavis@comporium.net. The annual South Carolina AHEC Resident Scholarship Symposium was held in conjunction with the South Carolina Academy of Family Physicians’ (SCAFP) annual meeting in Pawleys Island on June 15-16. On June 15, a Chief Residents’ Seminar was held for physicians who will be chief residents during the 2014-15 academic year. The session was conducted by Mark Greenawald, MD, Associate Dean for Student Affairs, Virginia Tech Carilion School of Medicine. That night the SCAFP and the South Carolina AHEC Family Medicine Residency Program directors sponsored a wine and cheese reception and poster session for residents, members of the South Carolina Academy of Family Physicians, and their families. Authors of 16 abstracts also presented scholarly presentations on research and quality improvement projects. Robert McDonald, MD, Director at the Spartanburg Regional Family Medicine Residency Program and Trident/MUSC Family Medicine Residency Program faculty members Marty Player, MD, MS, and Lori Dickerson, Pharm.D., served on the symposium planning committee. Dr. McDonald served as the moderator for the symposium and was joined by a distinguished panel of judges, which included Chuck Carter, MD, Program Director of the Palmetto Health Family Medicine Residency Program; Bruce Hanlin, MD, Program Director of the Greenville Hospital System Family Medicine Residency Program; and Kelly Jones, Pharm.D., faculty member at McLeod Family Medicine Residency Program. The residents’ presentations were well attended by SCAFP members who asked residents thought provoking questions and discussed how these projects translate into practice. The Correlation Between Organized High School Athletics and Adult Onset Type 2 Diabetes: Is Participation Protective? Does Having HGB A1C Results Immediately Available to Physicians Result in Improved HGB A1C Control? 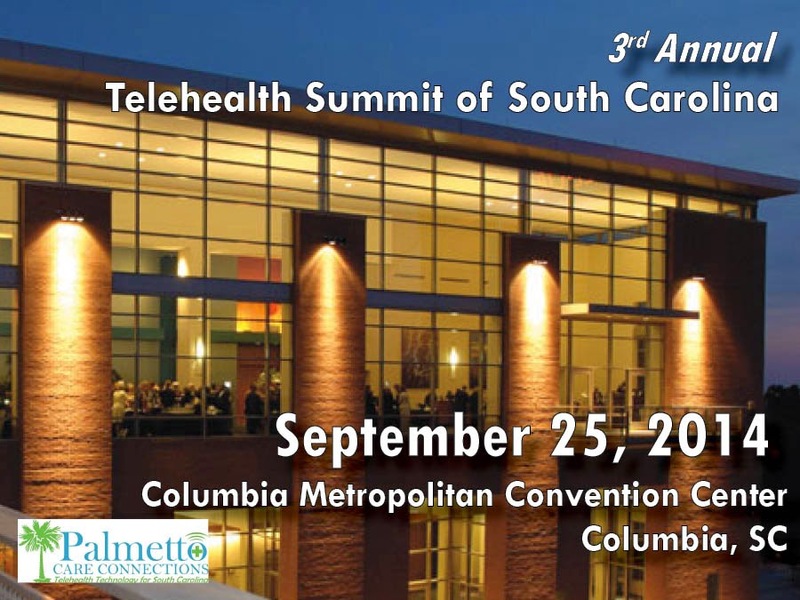 Palmetto Care Connections announces that registration is open for the 3rd Annual Telehealth Summit of South Carolina. The summit will take place on September 25 at the Columbia Metropolitan Convention Center. All providers in rural areas, specialists, administrators, hospital staff, school nurses, long term care facilities, and anyone interested in learning more about telehealth is invited to attend. To find out more or register, visit the Palmetto Care Connections website. 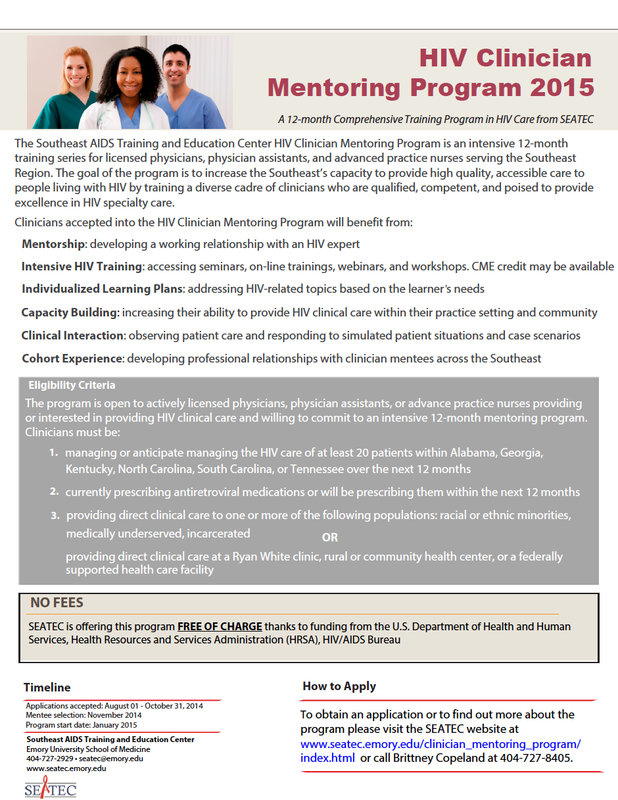 The Southeast AIDS Training and Education Center (SEATEC) is offering an intensive 12-month HIV clinician mentoring program for licensed physicians, physician assistants, and advanced practice nurses serving the Southeast region. The program is targeted to providers who are currently providing or are interested in providing HIV clinical care and are willing to commit to the 12-month program. The program is free of charge thanks to funding from the U.S. Department of Health and Human Services, HRSA, and the HIV/AIDS Bureau. Benefits include mentorship, intensive HIV training, individual learning plans, capacity building, clinical interaction, and cohort experiences. Applications will be accepted from August 1 through October 31. To find out more or to obtain an application, visit the SEATEC website at or call Brittney Copeland at 404-727-8405. The American Nurses Credentialing Center (ANCC) awards Magnet Recognition® and Pathway to Excellence® designation to healthcare organizations that meet ANCC standards for patient care and professional nursing development and practice. A big step toward reaching ANCC designation is promoting nurse certification and further education. In order to become certified in a specific area of nursing practice, a nurse must first meet specific criteria to apply for certification and then pass a rigorous exam. To support nurses who are preparing for the certification process, the organization’s nursing administration, managers, educators and staff nurses should request certification review courses. For more information about Upstate AHEC programs, visit www.upstateahec.org. Pee Dee AHEC is pleased to report a recent collaboration with advanced practice registered nurses (APRN) from the Pee Dee region. An assessment was conducted in early 2014 to determine and develop programs to address the needs of APRNs. Recognizing the busy and diverse schedules of the practitioners, Cheryl Neuner, Pee Dee AHEC Nursing Education Coordinator, makes the programs available to others via statewide videoconference using the South Carolina Health Occupations Outreach Learning System (SCHOOLS). The programs are broadcast the third Tuesday of each month from 6:30-8:30pm. The APRN programs are also being recorded, archived, and available on www.scahec.net/schools as enduring materials that can be accessed at the learner’s convenience from their own device or computer. At the May meeting, Billy Heckle, Pharmacist and Addictions Counselor with the McCord Adolescent Treatment Center in Orangeburg, SC, presented “Common Drugs of Abuse." Additional presentations through the summer have included “Oral Contraceptives” and “Hormone Therapy of Menopause” conducted by Kelly Jones, Pharm.D., Associate Professor of Family Medicine with McLeod Regional Medical Center. Dr. Jones will present “Andropause: A Pharmacotherapy Course for APRNs” at the August 19 meeting. The program will offer pharmacotherapy hours for nurses. We have found your speakers to be dynamic and the topics timely. In practice, it is an ever-evolving search for the best evidence available to improve patient care. Pee Dee AHEC provides us the opportunity to stay current by having topics pertinent to practice at a low cost. I have found it a wonderful adjunct for our University FNP students. I look forward to a continued relationship with Pee Dee AHEC. It is the goal of Pee Dee AHEC to make this education known and available to practitioners across the state on a monthly basis. For more information on upcoming APRN meetings and topics, please contact Cheryl Neuner, BSN, RNC, Nursing CE Coordinator with Pee Dee AHEC at 843-777-5347 or cneuner@mcleodhealth.org. Dr. Tammy Marcin, Academic Chair and Professor, and Samantha Martel, Associate Professor, of the Physical Therapist Assistant Program of the Grand Strand Campus of Horry Georgetown Technical College are partnering with Pee Dee AHEC to provide continuing education for their 40 instructors and 40 students. “Clinical Neuroanatomy for Rehabilitation: Lesions, Impairments, and Treatment Interventions” will be presented September 13 on the Grand Strand campus. This course will review neuroanatomy as it relates to rehabilitation for occupational and physical therapy practice. A variety of impairments as related to lesion sites will be discussed via case studies. Treatment interventions based on evidence-based practice will be offered as options for patient care. The World Health Organization (WHO) International Classification of Functioning, Disability and Health (ICF) will be used as a framework for delivery of care in neurorehabilitation. A second continuing education program will be presented on November 14 and 15 entitled, “Credentialed Clinical Instructor Program” (CCIP), in which new and experienced physical therapist and physical therapists assistants will be certified in clinical education. This course is offered under auspices of the American Physical Therapy Association (APTA). To be eligible to attend this course, participants must complete and submit the participant dossier to the credentialed instructor prior to taking the course. Contact Kay Lambert, BNS, RN Program Coordinator, at klambert@mcleodhealth.org for more information. Left to right: Allison Gayheart, SC DHHS; SC AHEC Executive Director Dr. David Garr, SC AHEC; Program Director Megan Old, SC DHHS Health Initiatives Team; Center Director Cheri Plyer, Mid-Carolina AHEC; Center Director Fay Brown, Upstate AHEC; Director of Nursing Cindy Causey, Little River Medical Center; Community Health Coordinator Mira Palomares, Little River Medical Center; Center Director Gail Weaver, Pee Dee AHEC. 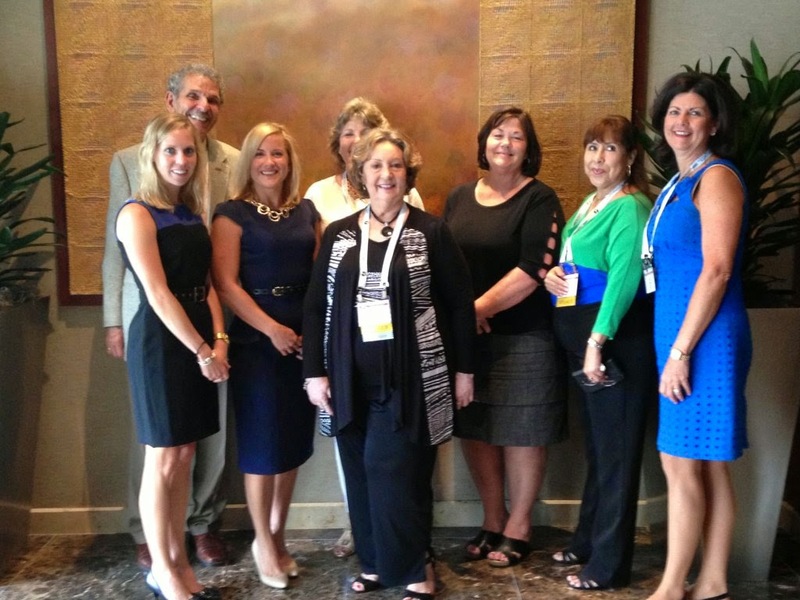 This June, the South Carolina AHEC joined AHECs from across the country at the 2014 National AHEC Organization (NAO) Conference in Charlotte, NC. The four-day conference was an opportunity for AHEC programs to present on best practices and successful initiatives, dialog about the current state of healthcare, and look to the future. Members of South Carolina AHEC presented a total of 16 presentations encompassing interprofessional practice, community health worker programs, assessing continuing education outcomes, workforce data and analysis, and the health professions pipeline. South Carolina AHEC staff brought back many innovative ideas from the inspiring conference and look forward to putting these ideas to work. Four University of South Carolina medical students, in collaboration with Pee Dee AHEC and the Leatherman Senior Center in Florence, SC, presented health information to 25 senior adults on June 2. 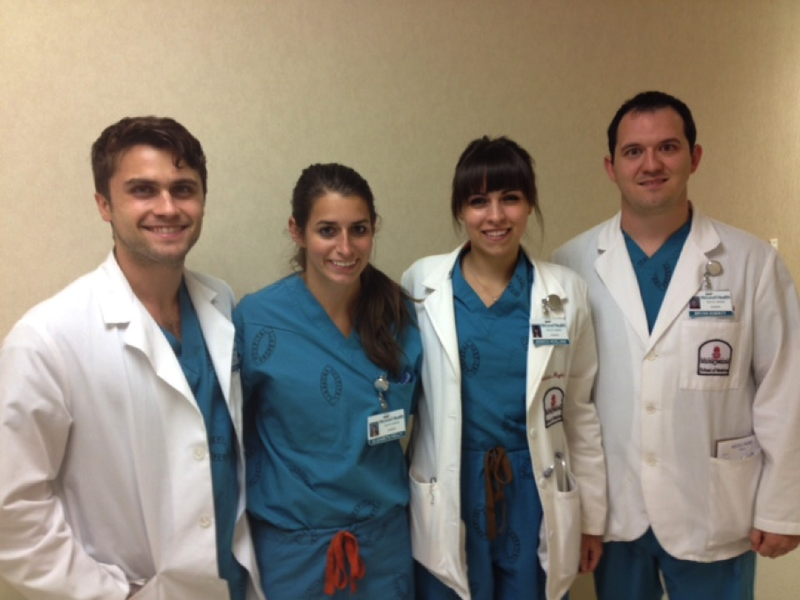 These second year medical students are participating in a six-week program through the McLeod Foundation Fellowship Program to learn about the inner workings and care provided by hospitals. As part of community outreach, each of these students presented to the seniors on the topics of stroke, nutrition, hypertension and exercise, all with a geriatric focus. The Leatherman Senior Center, who hosted the event, provides a variety of educational and entertainment programs in partnership with civic and medical groups throughout the community. The senior citizens who participated in the discussions thoroughly enjoyed the presentations. They especially enjoyed interacting with these future healthcare professionals. For additional information, contact Kam Richardson or Traci Coward, HPS Coordinators at krichard@mcleodhealth.org or tcoward@mcleodhealth.org. 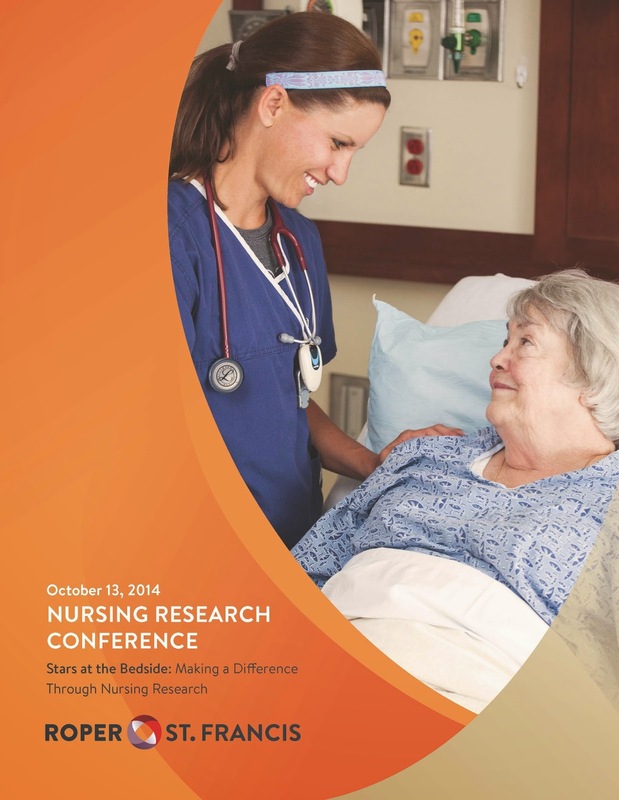 The 2014 Nursing Research Conference, presented by the Roper St. Francis System Nursing Research Council, will take place on October 13 to highlight nursing research and its impact on professional practice. It will focus on the impact of integrating nursing research into professional growth, the role of a staff nurse in hospital-based clinical trials, strategies to completing effective literature searches, and data collection design and statistical analysis. The conference will take place at Bon Secours St. Francis Hospital in Charleston and is offering 5.25 nursing contact hours. Registration is $50 for those who register by October 1 and includes a continental breakfast and afternoon snack. To register, please call 843-402-CARE. If you would like more information about the conference or have questions, please contact Melody Weidman at melody.weidman@rsfh.com or 843-763-2699.